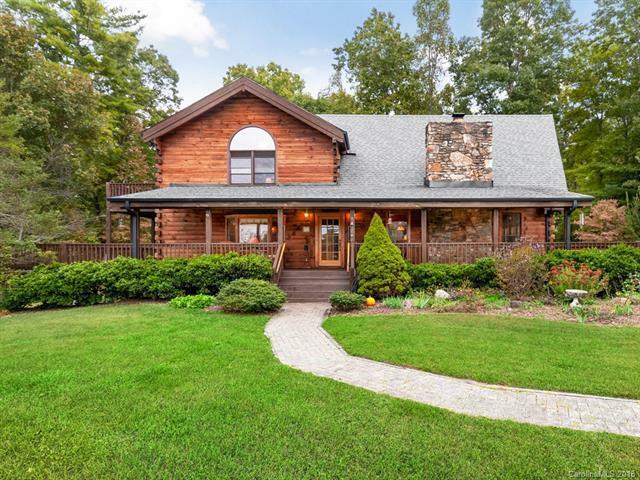 Beautiful traditional log home on 5.22 acres in quiet country location just 11 miles from downtown Hendersonville. Fabulous Great Room features open beams in full-height cathedral ceiling. 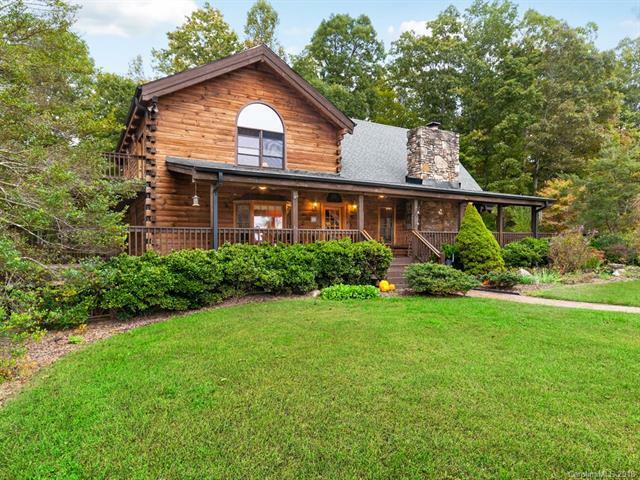 Acreage includes pasture and woodlands. 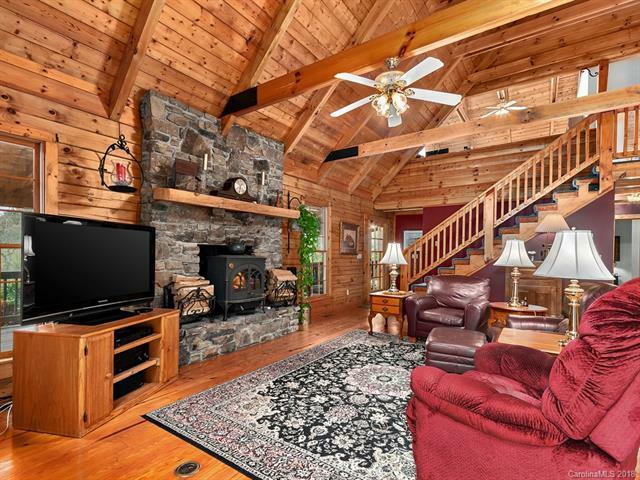 Main living area features natural rock, wood-burning fireplace. Large Master Suite on main with 2nd bedroom at loft level. Portion of current loft could easily become 3rd bedroom. Kitchen has granite counter tops, breakfast bar/island plus Chefs Delight stove by Elmira Stoveworks. Large outbuilding used as workshop/studio has wood stove and is also suitable as horse barn. 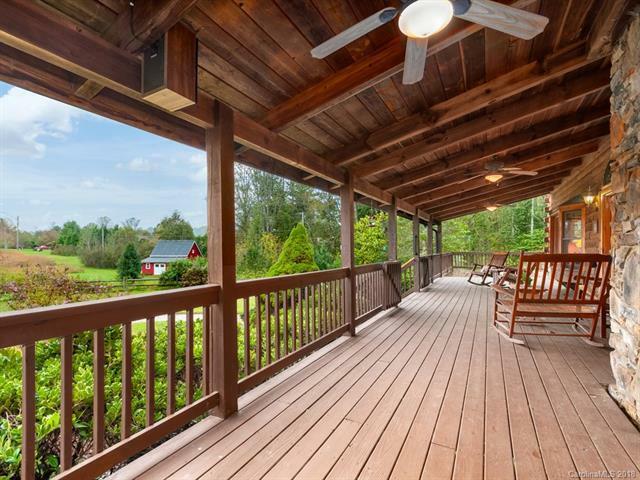 Wrap-around deck with covered front porch, full-house generator, 2-car garage with three additional spaces at front walkway. Full basement (semi-finished) includes garage and additional workspace. Full-house generator, piping for gas grille on rear deck which is reinforced and piped for possible hot tub. Logs are factory cut, W-grooved with rubberized felt filling for no-chink durability.